Apex Capital is an investment firm which provides venture capital to exceptional founders who are revolutionising the financial services landscape. We have a strong track record of successfully establishing, investing in and growing businesses that have sought to provide innovative products and services to the financial services sector. Our entrepreneurial backgrounds give us a unique perspective on what it takes to start and scale a business in financial services. Apex Capital was established over a decade ago and is wholly owned by its principals, each of whom have a wealth of experience from having worked across multiple continents with leading global firms in financial services, as well as having developed and operated their own start-up businesses. We believe there has never been a better time to be partnering with the emerging leaders in financial services. We are passionate about the rapid pace of change taking place across the financial services landscape, driven by the transformation of technology, regulation and consumer behaviour. A distinguishing feature of the Apex team is the insight and support we bring to management teams given the time we have all spent sitting on both sides of the table — as entrepreneurs and as investors in the financial services industry. We back people, not businesses. We look for exceptional founders with the vision to revolutionise the financial services landscape and the drive to attract and lead a first class management team. We are not typically seed-stage capital providers and our investment preference is those opportunities where a core team is in place, with product or services launched and some evidence of customer traction (typically where sales have been made). That said, it's never too early for us to meet you and start understanding the journey you've embarked on. We look for opportunities that display a strong potential to scale, both domestically and offshore. Technology has allowed for innovative distribution models, often eradicating the need for traditional physical, financial and human capital requirements that large institutions have relied on for rapid growth. We focus solely on financial services as it’s where we have expertise and believe we are able to add the most value to founding teams. We define financial services at its most broad and, within the financial services industry, we are sector agnostic with an interest in both business-to-consumer (B2C) or business-to-business (B2B) opportunities. Over the past 15 years, I have been involved in establishing, running, investing in and advising early stage businesses in the financial services sector. This was initially done at boutique investment firm Turnbull Pillemer Capital and then Apex Capital Partners, which I co-founded in 2005. Most recently, I co-founded and am a Director of BetaShares, a leading Australian funds management business. I am also a Director of Toranotec Ltd, a Japanese asset management firm that delivered the country’s first smartphone-enabled automated investment service. Prior to my investment roles, I started out my career as a corporate lawyer at Baker & McKenzie and have a Bachelor of Commerce and Bachelor of Laws from UNSW. As a self-confessed wine geek, I love to learn about, collect and drink wine from around the world. After starting my career as a corporate lawyer at Freehills, I have spent more than 20 years in the financial services sector, firstly in Australia for Macquarie Bank and then in New York with Goldman Sachs. After returning to Australia I joined Turnbull Pillemer Capital, before co-founding Apex Capital Partners in 2005. Most recently I co-founded and am a Director of BetaShares, leading the business alongside Alex. I have a Bachelor of Commerce and Bachelor of Laws from UNSW, and completed an MBA from the Stanford Business School. I have spent the past 15 years focused on the financial services and start-up space. I worked at the Boston Consulting Group, in Sydney and New York, as a member of their Financial Services practice. My background in venture capital came through my earlier involvement in setting up one of the first venture capital firms in Australia. I have been with Apex since 2007, during which time I have worked on the set up and growth of BetaShares, a leading Australian funds management company and spent extensive time with various early stage investee companies of Apex. I am a Director of Sellable Pty Ltd, a financial services firm which provides property owners with a unique way to sell their home. I have a Bachelor of Commerce and Bachelor of Laws from UNSW. I’m also developing a reasonable size collection of limited edition sneakers - I’m starting to get my kicks out of kicks! I have worked across investment, advisory and operational roles in financial services for the past 15 years. I spent several years with Morgan Stanley in Sydney and New York on the trading desk and advising private equity clients before returning to Australia to work in the private equity industry. I joined the Apex team in 2008, helping to establish and build BetaShares, as well as grow the investment portfolio of early stage businesses at Apex. I have a Bachelor of Commerce and Bachelor of Laws from UNSW. Away from the office I dabble on the trumpet, touring with my band to jazz festivals around Australia, and am a Director of the Australian World Orchestra. BetaShares is a leading Australian exchange traded fund issuer, with an innovative product range of 40+ funds launched on the ASX across various asset classes, expanding the range of exposures to which investors have transparent, liquid and low-cost access. BetaShares has proved highly popular with the Australian investment community, raising more than $5Bn of funds within its first seven years. 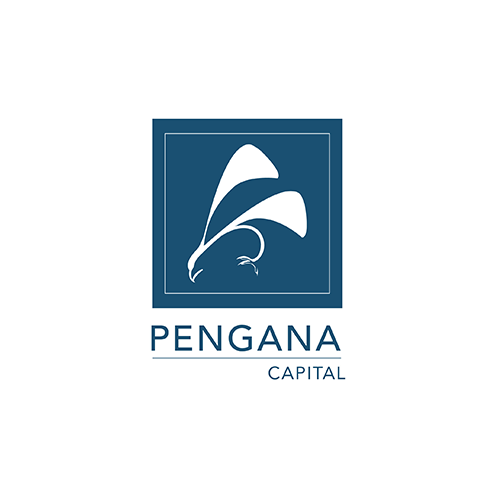 Pengana Capital is a diversified funds management business with ~$1.5Bn of funds under management across nine investment strategies, and offices in Australia and Asia. Pengana pioneered the business model which aligns incentives between high-quality investment teams and a funds management organisation. Centrestone was established to provide wealth advisory services to high net worth (HNW) clients, differentiating its offering via the provision of high quality, independent, fee-for-service advice. It was merged with the Berkley Group (and renamed Centric Wealth) to create a leading independent HNW wealth advisory group with $1.5bn of funds (and most recently was acquired by the Findex Group). Japanese-based digital wealth management offering that fully automates the process and discipline for regular investing, allowing users to accumulate savings and build an investment portfolio. The technology is completely smartphone based with full automation on data capture. The business has a highly experienced team built around portfolio construction, strategy and trading. The Ali Group was established after the founding team identified an opportunity to be a leading manufacturer and distributor of life insurance products for the mortgage broking industry. The business has since grown to become a leading provider of this protection, having provided over $30 billion in cover to more than 115,000 Australians, and with over 2,000 authorised representatives. BillGuard (now branded as Prosper Daily) is a personal finance security business, alerting card holders to erroneous or fraudulent transactions. The product is available to customers as a mobile app which encourages users to take a more active role in monitoring their charges, any reporting of which is used by the company to send personalised data breach alerts to the customer network. Sellable makes it quicker, simpler and easier to sell your home. It provides price and financing certainty along with the convenience of a flexible moving date, before managing the entire sales process on your behalf. The founding team has deep experience in real estate, finance, operations, technology, marketing and customer service, as well as having previously established and run multiple successful start-ups. Athena is delivering Australia’s first ‘Super Mortgage’ – a better value mortgage for consumers, funded by super investments, which bypasses the banks. Enabled by a modern digital platform, Athena provides superior returns for investors and much lower interest rates for borrowers. The business is led by an executive team with deep experience in financial services and have a track record of delivering innovative customer solutions with outstanding customer experiences. Bellabox has built one of Australia’s leading beauty subscription services and a platform to be the next generation authority in consumer beauty and lifestyle products. It grew to become the dominant player in the Australian market within two years of inception and comprises a monthly beauty subscription box coupled with an e-commerce beauty product shop. Rubicor was established to take advantage of the highly fragmented recruiting industry. The founding team built a large, high-margin, specialty recruiting provider via the aggregation of high-quality niche businesses that retained key management through an innovative, incentive-based acquisition model. The business was built up to 19 operating brands across 39 offices with approximately 500 staff. Urban Remedy was one of Australia's first cold pressed juice businesses, providing cleanse programs aimed at being a catalyst for better eating habits and general wellness. The programs are delivered to a customer's home across the eastern seaboard of Australia and ingredients sourced from local fresh produce. The founding team had experience across nutrition, digital marketing and branding. Consumer Physics is the world's first affordable molecular sensor that fits in the palm of your hand. It contains a tiny spectrometer and allows you to get instant relevant information about the chemical make-up of materials around you (e.g. food, plants and medication), sent directly to your smartphone. The team is made up of scientists, mathematicians, software engineers.